After watching the first full round of Super Rugby this past weekend, it became clear the Australian teams have now adopted the 1-3-3-1 attacking structure, as used by the Wallabies. This master plan will be put under a severe spotlight come June and it is frustrating to see the robotic way in which the teams are currently executing it. I am concerned that two Super Rugby minnows have managed to upstage it and show a better alternative. Queensland Country, in the space of one off season, managed to ride the 2-4-2 attacking structure from perennial cellar dwellers to NRC champions last year. There is no doubt in my mind that Brad Thorn was responsible for instilling this structure. Having had such a successful All Blacks career, he would have an intimate understanding of it because he played under it for so long. I dare say it is almost all he knows. So I was excited to see the Reds in action this year, hoping they would produce the same rugby that Queensland Country did in the 2017 NRC. My hope was short lived. Instead, the Reds used the Wallabies’ brains-trust master plan and I am almost certain that a directive to abandon the 2-4-2 came from the top. Why else would a former All Black abandon the structure he best knows – the one that brought his NRC team so much success? It is good to see some uniformity in attack across the Australian teams, as has been the case in New Zealand for a long time now. It also means that they will be training in similar ways to utilise the attack, which is another positive. We can only hope that with this newfound solidarity, better performances will be on show by the Wallabies come the June Test series against Ireland. The Irish series will be of particular importance in light of the new attacking master plan. Ireland hvave used the same structure for a while now, and they are the best international team in the world at utilising it. One thing that really annoyed me over the weekend was the robotic way the Aussie teams executed the 1-3-3-1. There is almost always a hit up by the first pod of three forwards, which kills off speed and creativity, and gives the opposition time to set in defence. Impatience was also an annoying feature. Instead of waiting patiently for the structure to do its job, a miracle play was almost always attempted prematurely, which stuffed up the momentum built or gave away possession. They also refused to think outside the box and veer away from the structure – such as to miss a pod, to split a pod, to change direction or simply throw away the playbook and go off instinct (they can learn a lot from the Lions on how to do this and the Wallabies will meet an Irish team in June who have a lot of variations up its sleeve). Despite this, it was good to see some isolated moments of quick opportunity-taking, but these were isolated, were mostly quick throw-ins or taps, and it doesn’t really address the issue of being creative for longer periods in general play. We can only hope that this new tenacity is the first small glimpse of more variation and daring. On a side note, it is frustrating to see how long it takes Australian scrumhalves to clear the ruck, because it is a major contributor to the 1-3-3-1 not working for them. 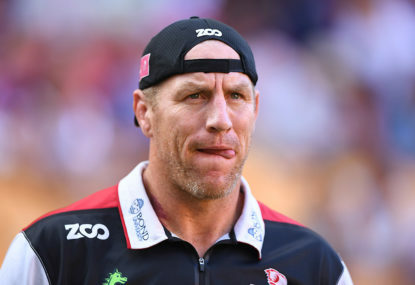 The Sunwolves and Bulls have been whipping boys in recent years – the Japanese team lacking the player quality and coaching, while the South Africans were stuck in a mode of play that bordered on extinct. Enter two Kiwi coaches and these teams have turned around. Jamie Joseph has installed the 2-4-2 attacking structure with the Sunwolves and their performance against the Brumbies, arguably Australia’s best team, showed the benefits. Their wide and daring attack is the biggest revelation and the Brumbies struggled to cope with it. The 2-4-2 showcased its superiority by almost allowing a team of nobodies to beat the star-laden ACT team. It was also good to see the Sunwolves adapt the 2-4-2 a bit by splitting the middle pod of four – having a pod of three either hit up or play the ball and leaving the extra man in the line to be another receiver or a dummy runner. This tactic was used by the All Blacks last year and Joseph obviously took note. John Mitchell’s job was more difficult. To try to get the Bulls, a team steeped in their traditions and style of play, to use the wide and daring 2-4-2 is a minor miracle. The results showed and they beat the Hurricanes, arguably the second best of the New Zealand teams. The Bulls did this without the star-laden forward pack they had the advantage of in years past and, apart from Handre Pollard at flyhalf and Jesse Kriel at outside centre, their backline were also relative unknowns. It was also good to see the Bulls adapt their attack by having their individual runners coming hard and close ‘around the corner’ of the player with the ball in hand to take advantage of the space the Hurricanes defence allows itself between defenders. Smart work by Mitchell and a good lesson for teams who will be coming up against a possible All Blacks rush-spread defence. The main take away from this is that it casts serious doubts on the Australian attacking plan. Two coaches, in two different countries, have instilled an attacking structure on two minnow teams and come out on top (I regard the Sunwolves’ result as coming out on top in their context) and they have done so in the space of one off-season. Despite my misgivings about the 1-3-3-1, it has become obvious that the Wallabies brains trust will not abandon their attacking master plan. Australian supporters can settle in and watch it used right into the 2019 World Cup and maybe even beyond. There has been a stubborn and arrogant refusal to implement the 2-4-2, citing the ‘Australian way of doing things’ – as illustrated by Brad Thorn being told to abandon the 2-4-2. 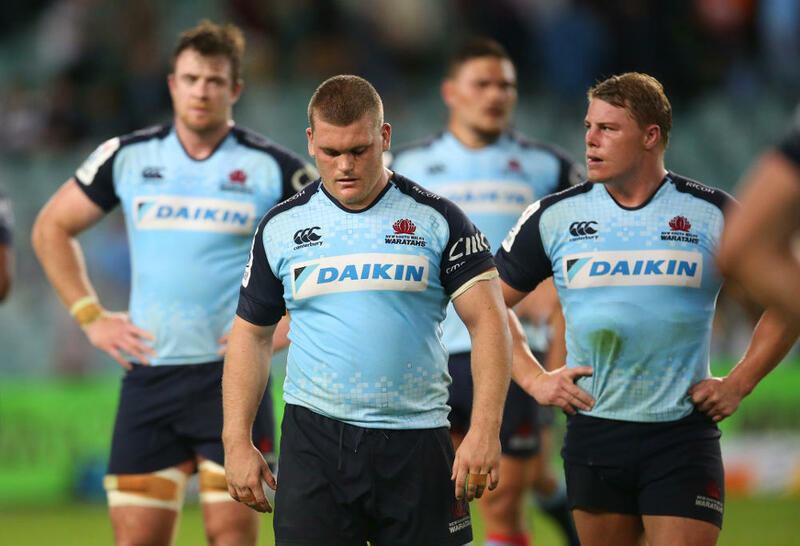 Some of the blame does fall on the provincial coaches, but the biggest factor preventing Australian teams from achieving the results of Jamie Joseph and John Mitchell is the chosen attacking structure. Promises have been made about the potential of the master plan and many excuses have been made about it misfiring over the last few years, yet we are still stuck in the same rut (and us fans are still suffering).